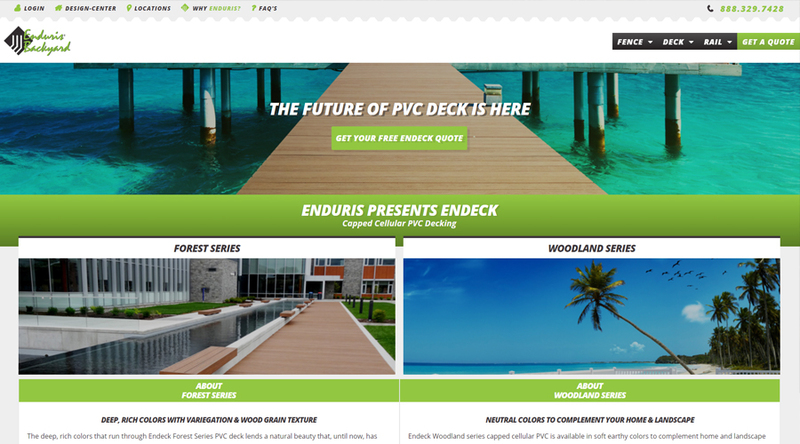 Enduris backyard expanded operations to South Florida in 2016 so they needed a new website in order to protect their brand in a much more modern way in order to garner new customers. 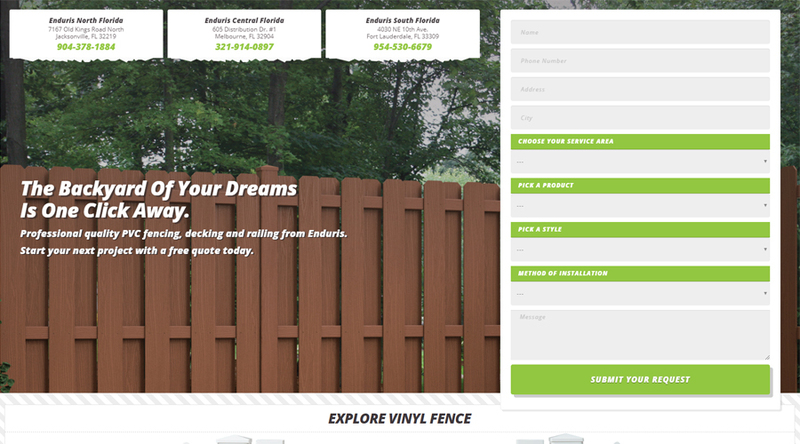 For those who don’t know, Enduris has since been sold to a Florida PVC manufacturer, but at the time they were divided into two companies: Enduris, the vinyl fence extrusion company, and Enduris Backyard, the distribution subsidiary of Enduris. As a distribution and fabrication company, Enduris backyard sold to both homeowners and contractors throughout Florida, and offered a wide range of Enduris products such as standard vinyl fencing, Enwood PVC woodgrain fencing, Enrail PVC railing, Endeck PVC decking and Mirage PVC woodgrain fencing. 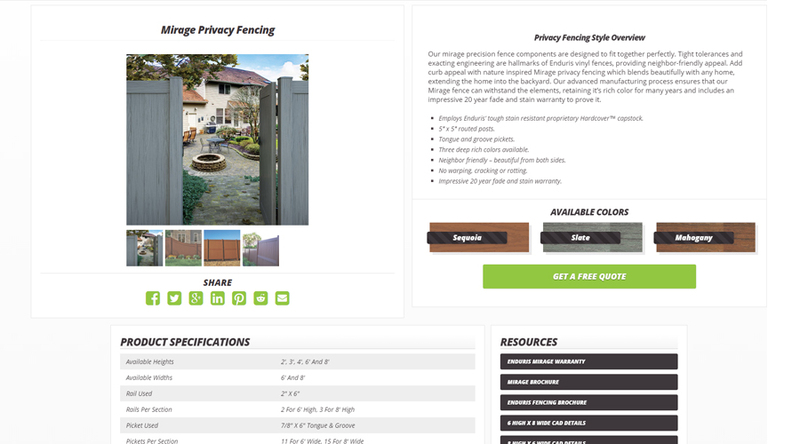 Aside from the huge array of product offerings, Enduris Backyard also had a large amount of marketing and technical assets such as brochures, warranties, installation guides and technical line drawings which needed to be available through the website as well. A custom WordPress theme was created according to Enduris’ brand guidelines, and various organizational plugins were used in order to store the vast amount of assets and data related to their products. Enduris Backyard had some existing visual assets for their products including line-drawings, vector drawings, and 3D drawings, however, they did not have corresponding assets for every style variation. 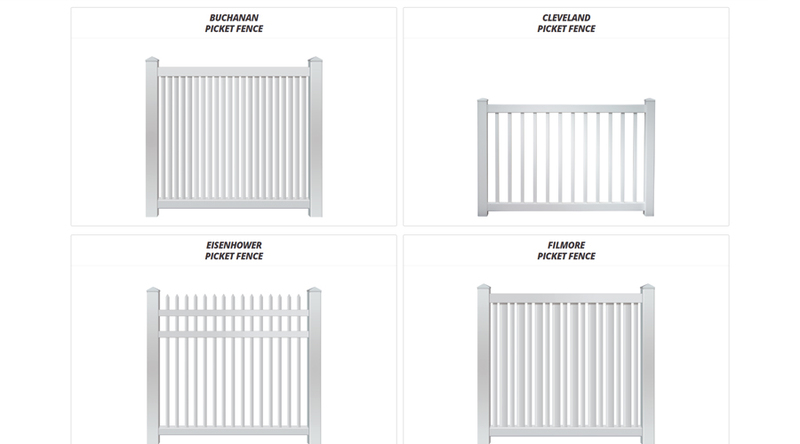 We filled in those gaps by creating numerous vector and 3D drawings for many of the vinyl fencing style variations. We also created a new logo for them based off of the classic Enduris logo. This is a very large 150+ page website. Each page needed specific optimization with separate titles and meta descriptions in order to avoid duplicate content penalties. 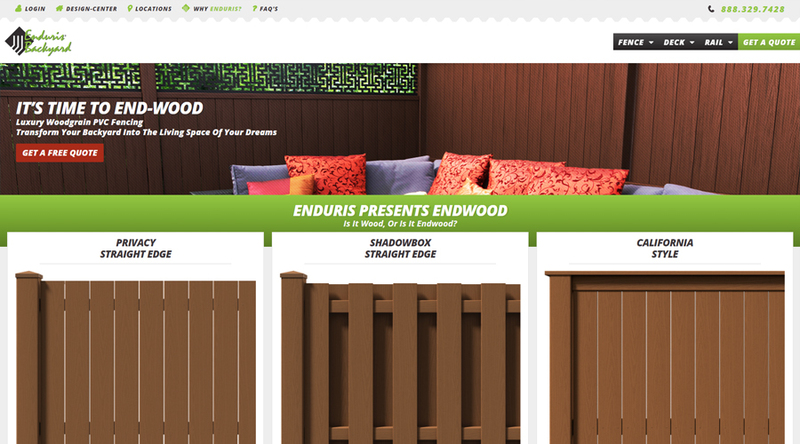 The Enduris Backyard website was created totally through WordPress. A framework was used as a base for the custom theme which was designed and developed around their existing brand guidelines and marketing assets. The company wanted to emit more of a modern feel than their existing parent company website, so a flat design approach coupled with very heavy image use was adopted in order to accomplish this. Dozens of individual product pages were created to display each unique product in an easy to digest format. On these product pages, all style information and technical specification information for that particular product was listed in both list and table format using various organizational plugins. We also organized all of the PDF’s, line drawings and other marketing materials for each product and displayed them in a sidebar on the page. 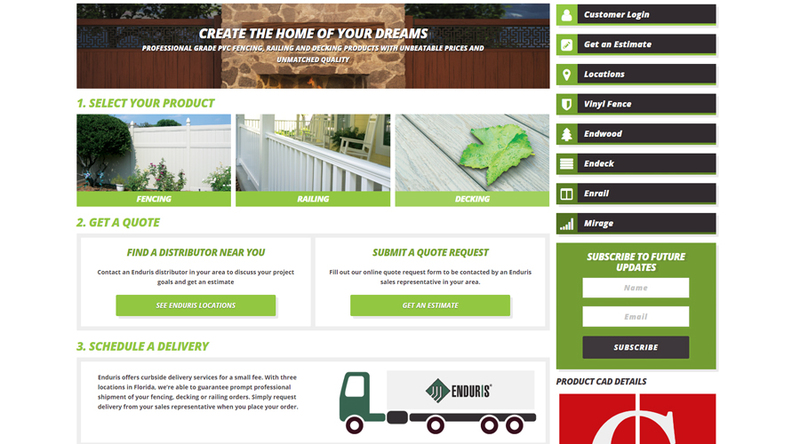 The result is a very easy to navigate website that displays absolutely everything you could possibly need to know about Enduris Backyard and their very wide array of products. We used both Illustrator and Photoshop to create a detailed rendering of each vinyl fencing style in order to match some of the existing 3D renderings they already had. They currently have a rendering of every single product they sell, before we began work they had a rendering for only about 30%. Their existing logo was outdated and in a non-scalable format (PNG), so we worked with them to design a new modern logo in order to match the new color scheme for the Enduris Backyard brand. The logo was based on the parent company, Enduris’, current logo and combined a typeface from their previous brand logo. All assets we created are in a totally scalable and reusable format, SVG. Google frowns upon duplicate content and typically penalizes large sites that have numerous pages all with very similar words and structure. In order to avoid this penalty, we wrote totally custom copy for each of the nearly 200 pages, each with customized title content, meta-title content and meta-description content. Prior to Enduris being bought and basically dissolved by the new owners, the Enduris Backyard website was ranking very strongly for every one of their key-phrases through their Florida service areas due to the extremely content-rich nature of the site and avoidance of duplicate content.